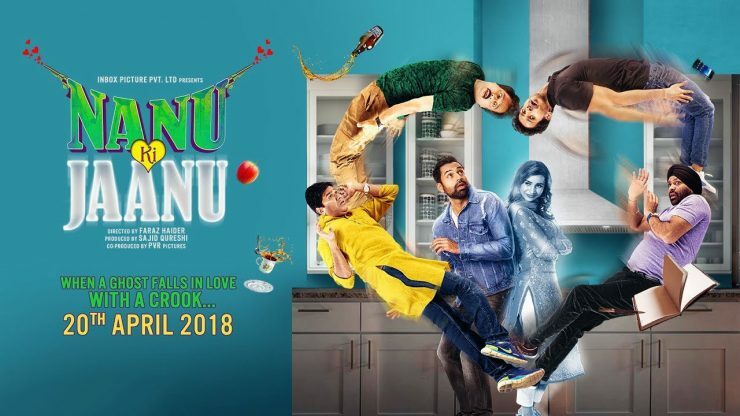 Nanu ki Jaanu – Movie Review | Don't waste your time on this one please! Cast: Abhay Deol, Manu Rishi Chadha, Patralekha, Rajesh Sharma. Nanu (Abhay Deol) is a land mafia, he enters people’s houses and forces them to sell their houses at a throwaway price. He has an entire team involved in this including a girl who is always ready to tear her clothes. Nanu seems selfish but has a good side too as he helps people. He dances with Sapna Chaudhary at wedding to spend nights with foreigners. He is also a good guy sometimes. He finds Siddhi (Patralekha) lying at roadside in a pool of blood. He immediately rushes her to a hospital. But doctors are unable to save her and declare her as dead. Her dad (Rajesh Sharma) refuses to believe that Siddhi is dead so he keeps Siddhi’s dead body intact in an ice lid. Nanu is not able to work as he is not able to save Siddhi. His partner (Manu Rishi Chadha) tells him to concentrate on work, watch killer movies and not behave like a woman. Siddhi comes as a ghost in Nanu’s house as she has fallen in love with Nanu. Nanu gets scared and tries everything to get rid of her. He makes his friends and family believe that his flat is haunted. This movie sounds more like a murder mystery rather than a ghost story. First half is full of humor and next half is messed up with. What will happen next? Will Siddhi confront Nanu? Abhay Deol performance is totally wasted. He is not made for films lik this. Patralekha doesn’t have much role. Manu Rishi Chadha who is Abhay’s partner is also the writer of the film. He has the most hilarious scenes in the movie. Background score is better than the songs, although there is a love song, party song, jagraata song, sad song. All possible varieties are there but nothing to remember. Some kinda unique film but talent totally wasted. Don’t waste your precious weekend on this one please!